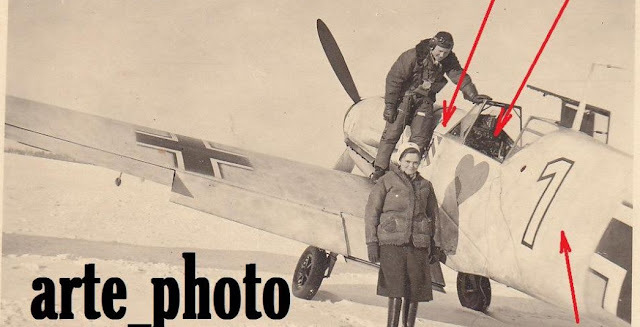 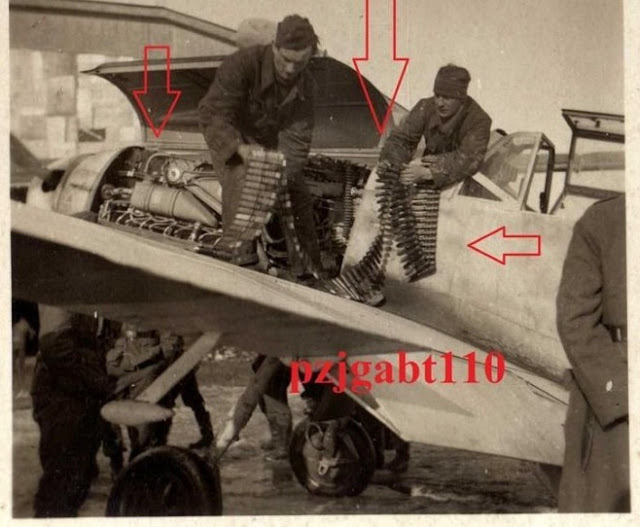 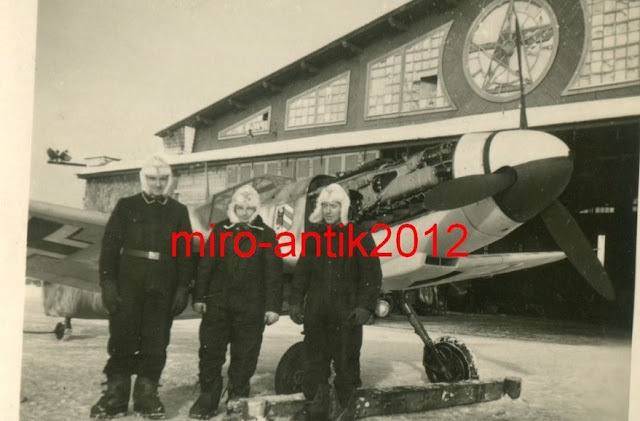 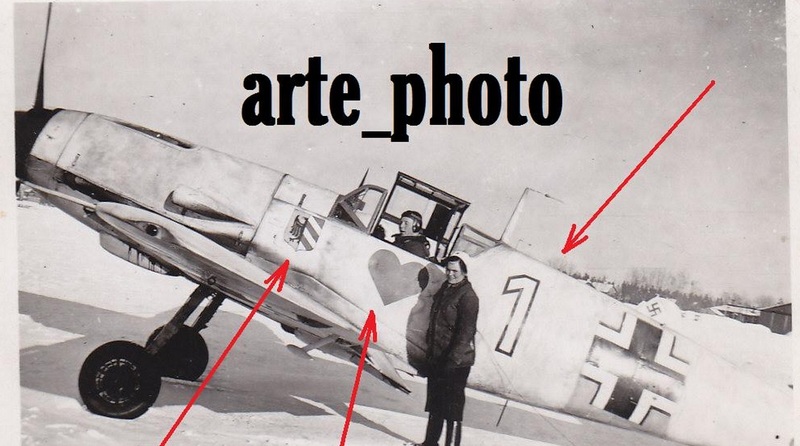 Below; successful pilots of I./JG 76 in Poland and France; unknown, Uffz. 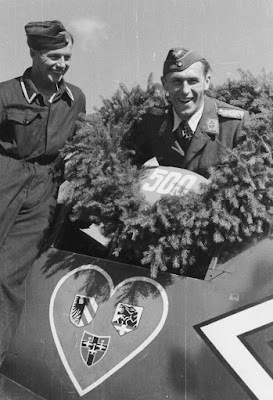 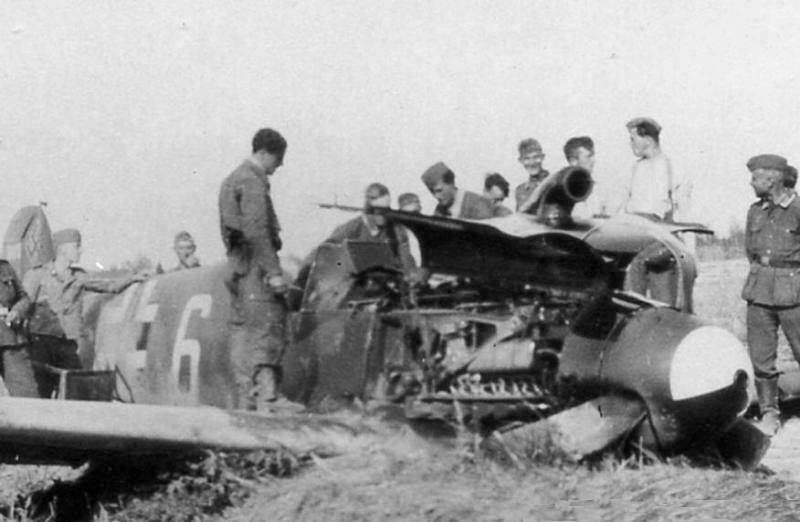 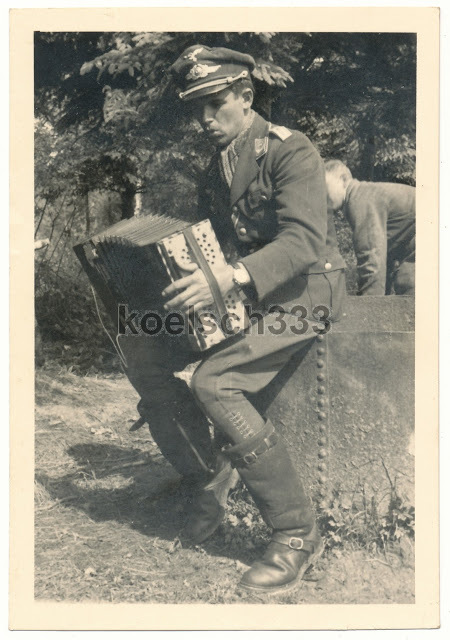 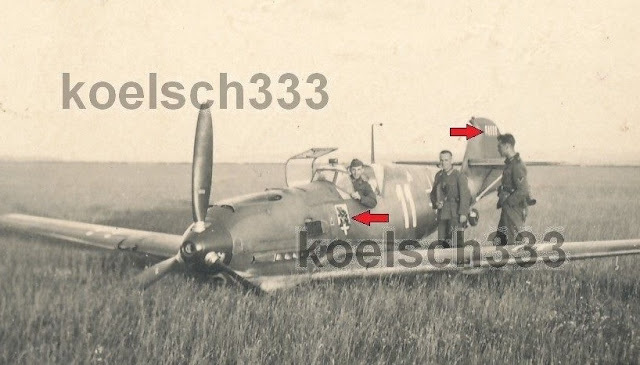 Max Stotz, Rudolf Hager, and, below, Ltn Hans Phillip on the accordion..
Below; crash-landed "black 5" is the Bf 109 G-2 WNr.13803 of Uffz. 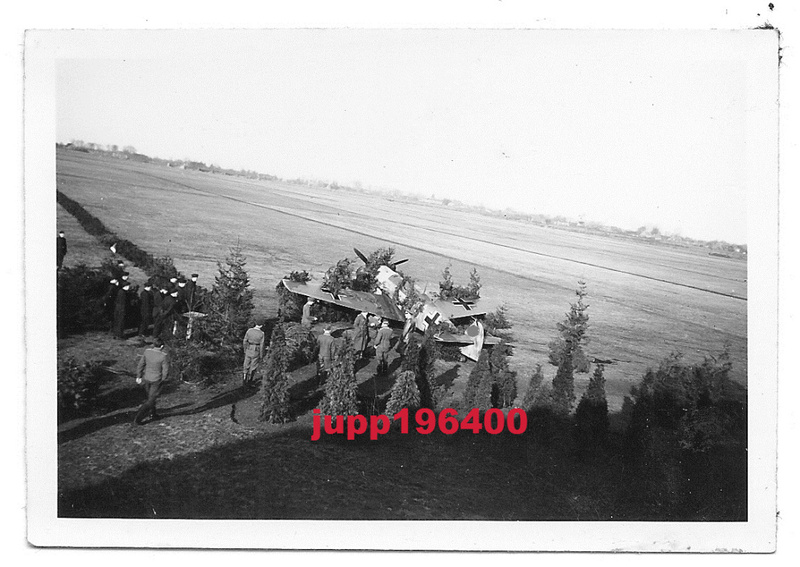 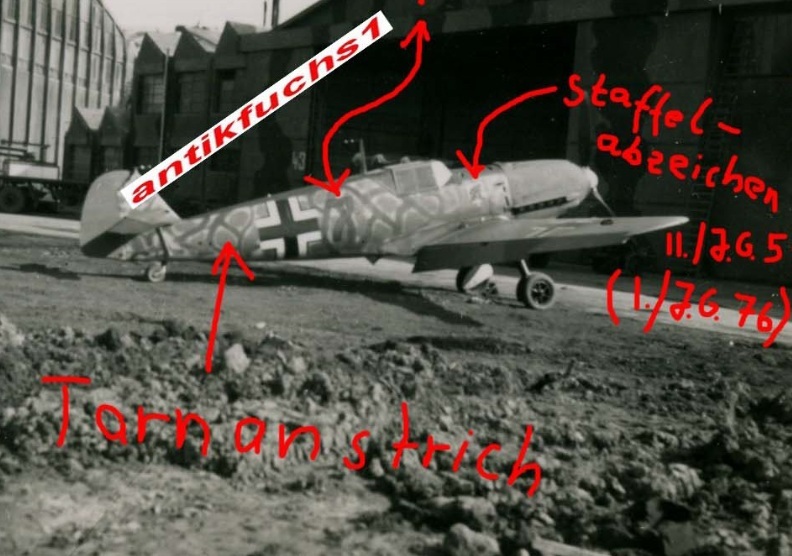 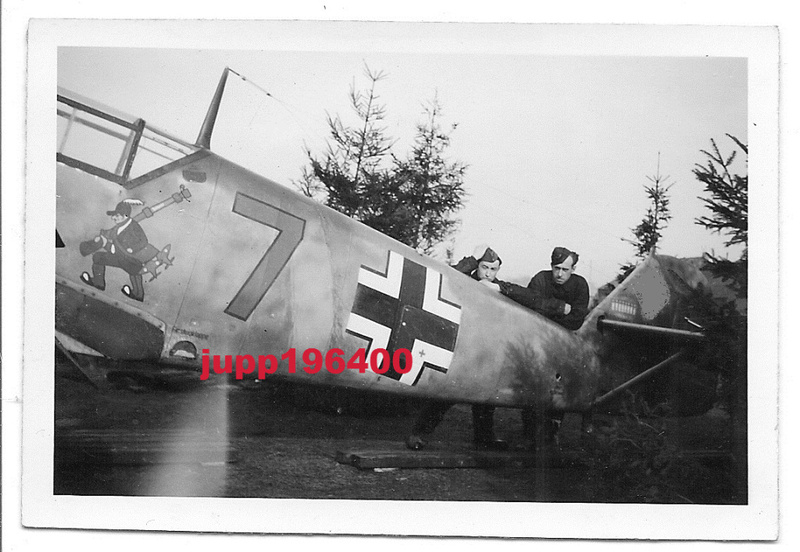 Arthur Stern from 8./JG 54 who was forced down following Luftkampf on 27 October 1942 near Losibzy. 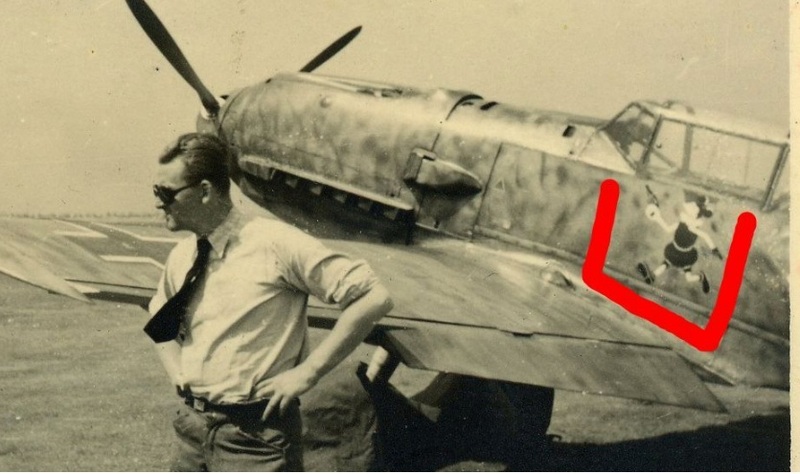 (note the 2 small intakes just over and in front of the exhaust stacks to identify the variant) The machine was reported as 45% damaged. 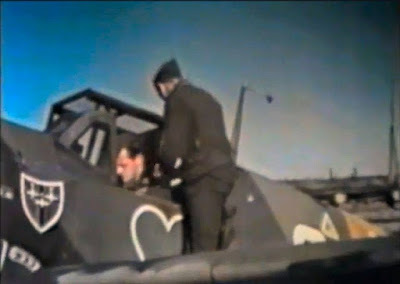 Also a view of the tail of Stern's 'black 5' which displays 11 claims on the rudder. 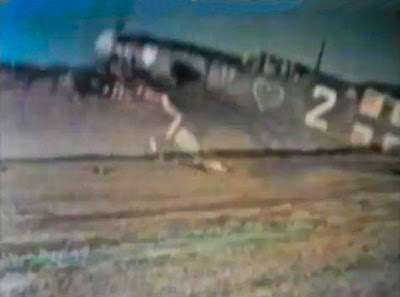 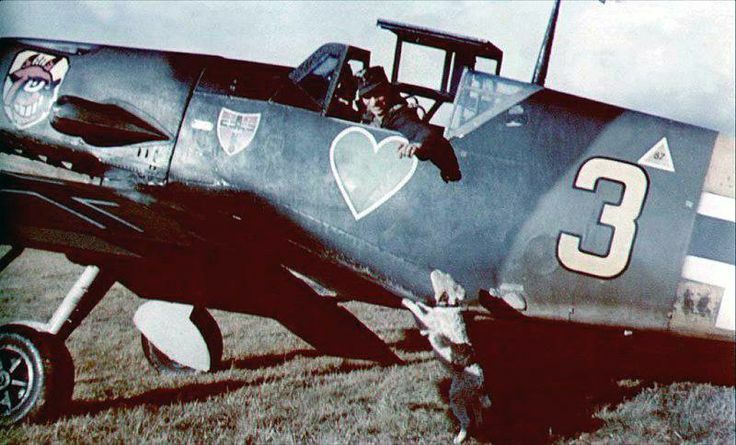 Stern claimed a P-40, his 11th, on 7 October 1942. 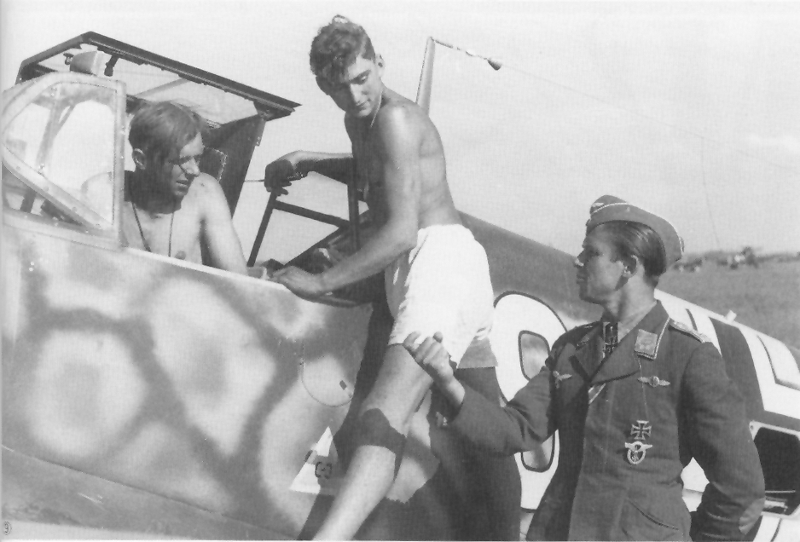 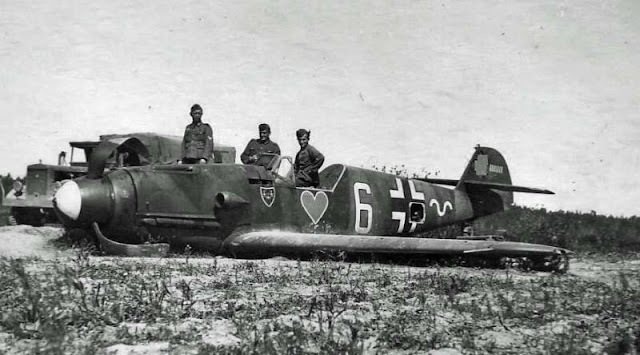 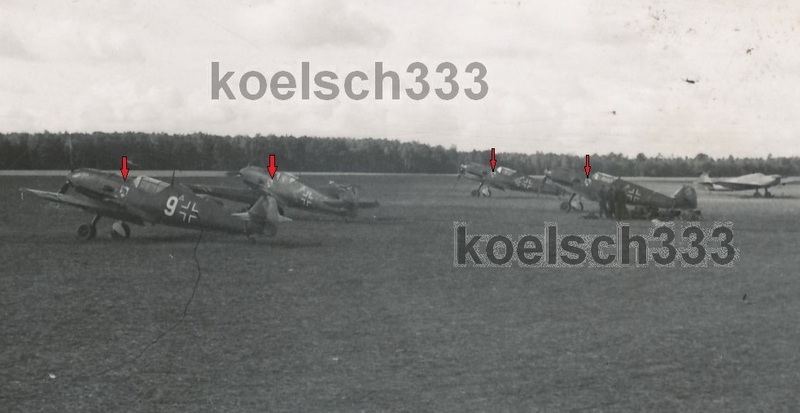 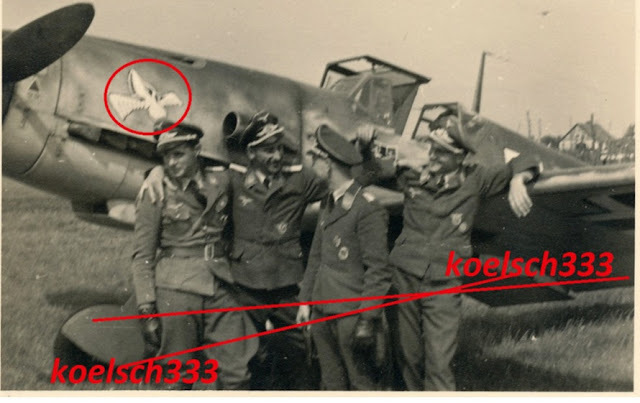 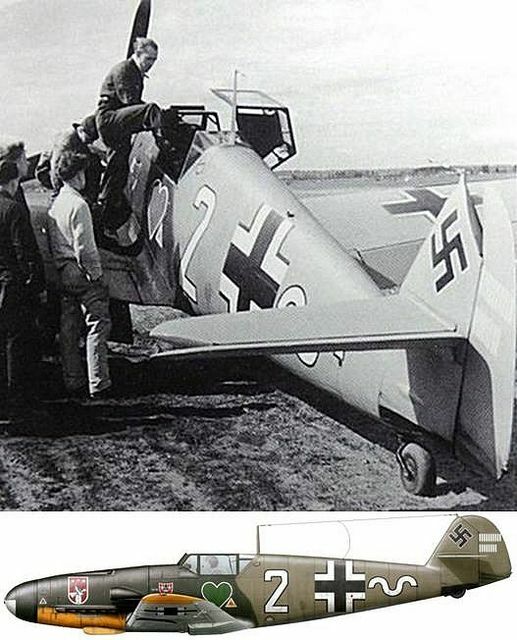 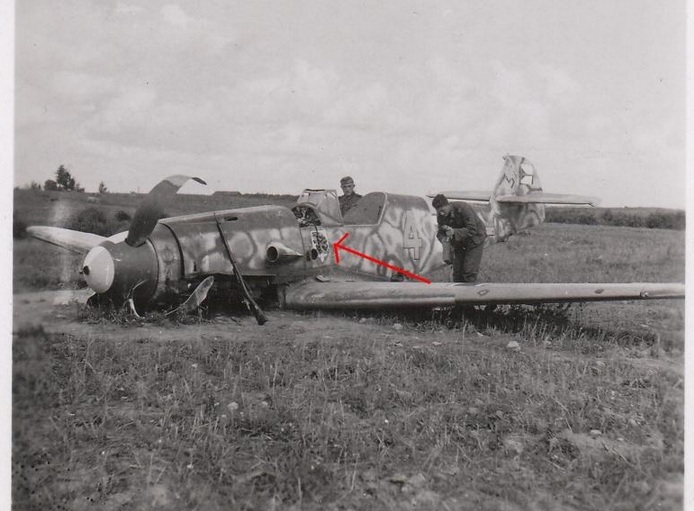 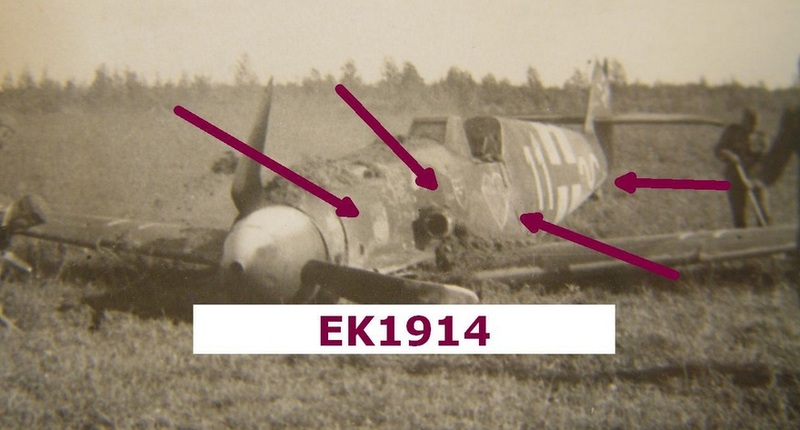 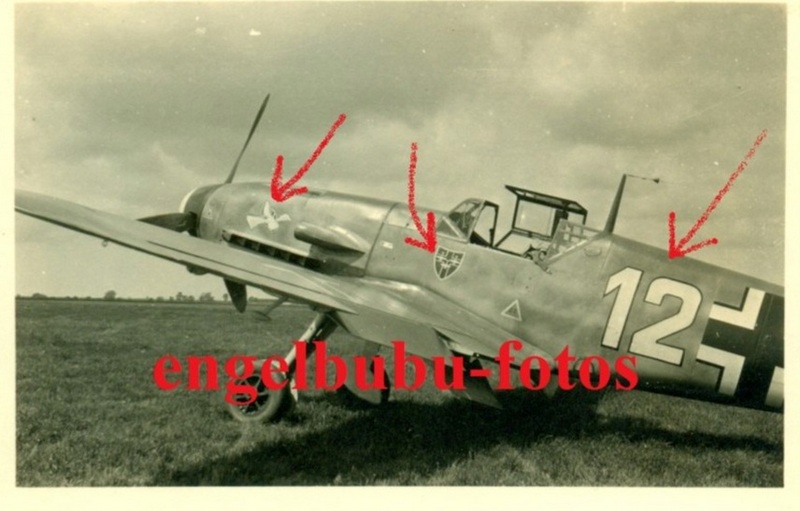 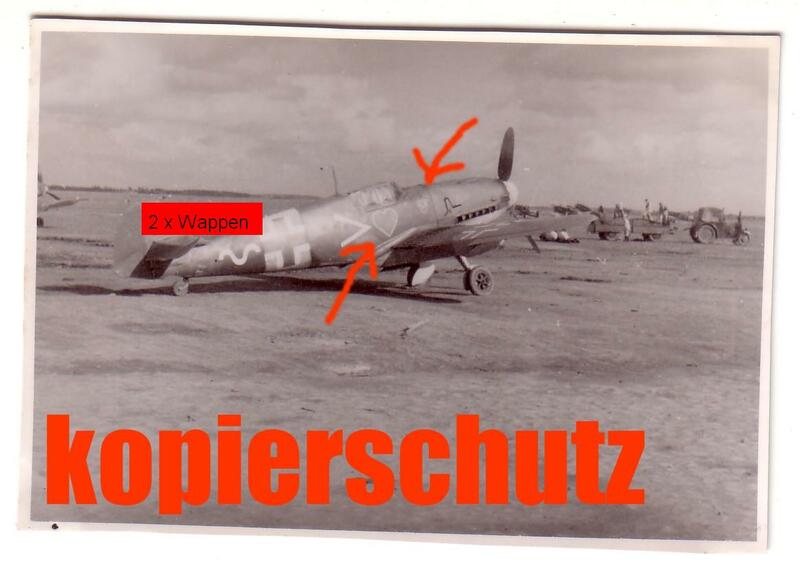 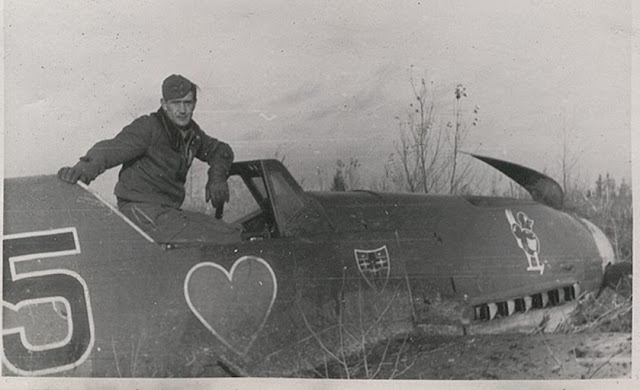 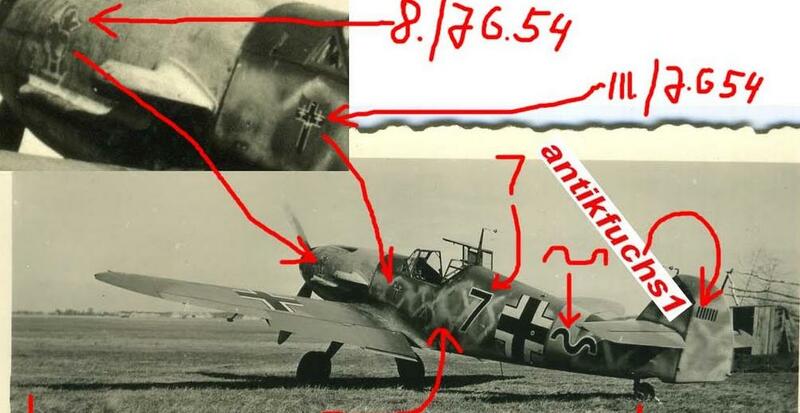 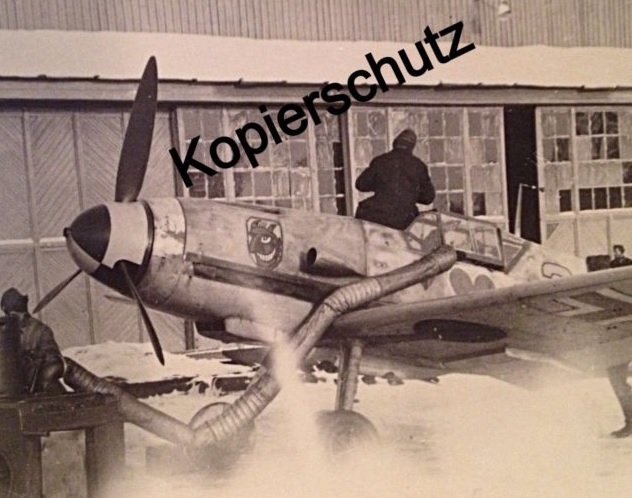 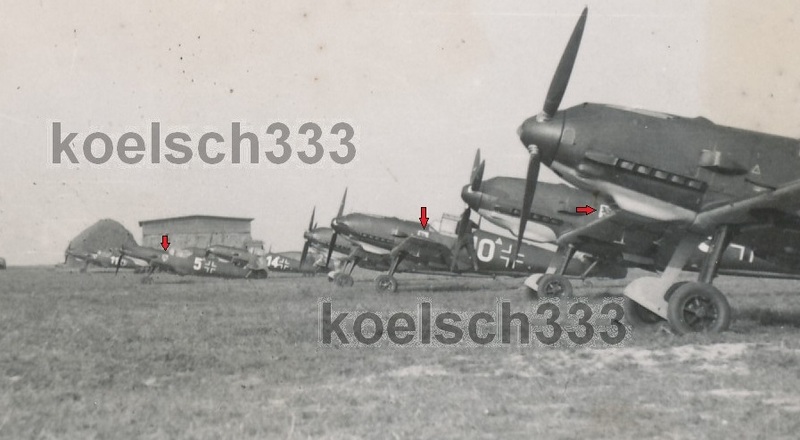 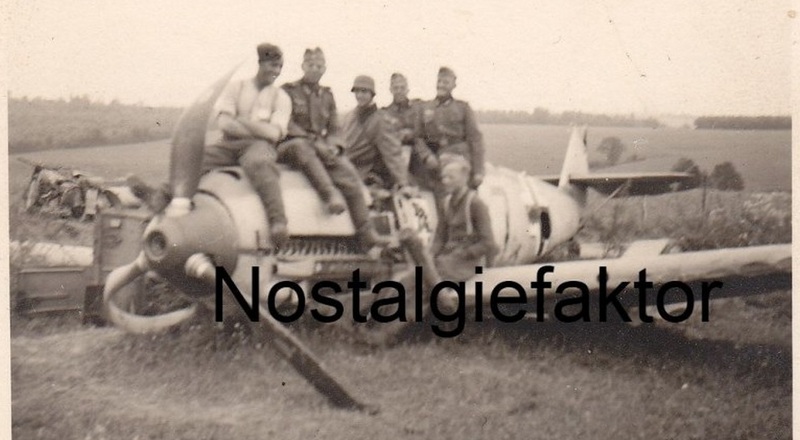 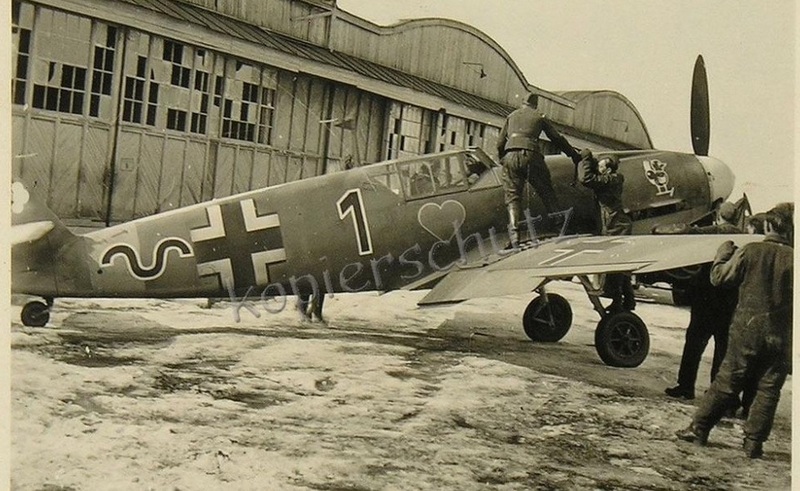 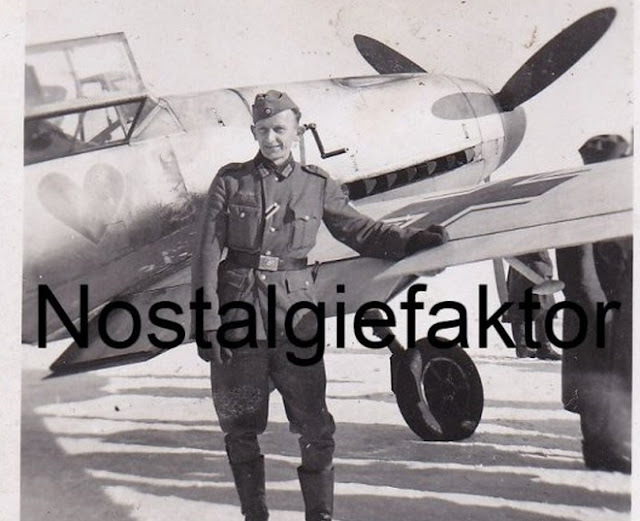 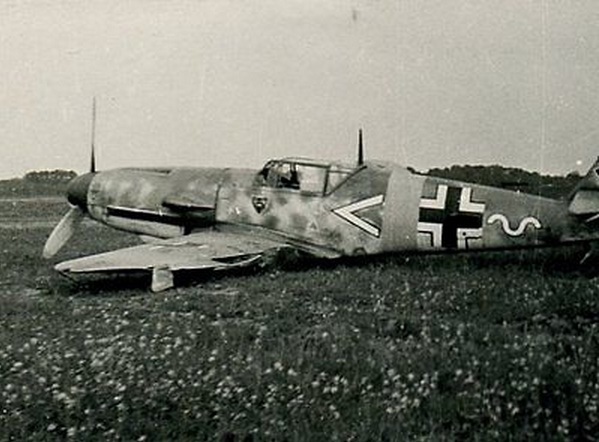 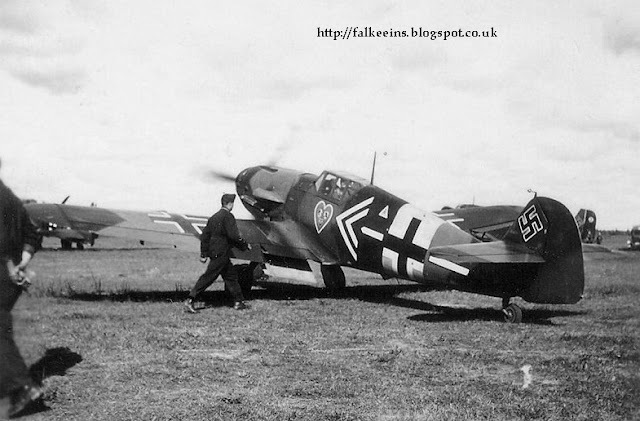 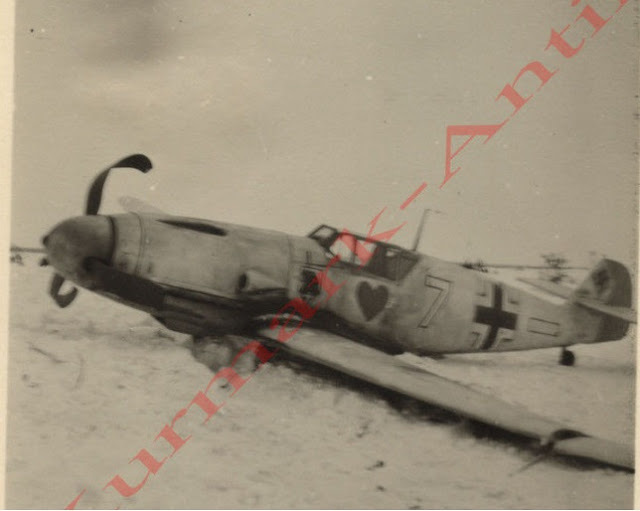 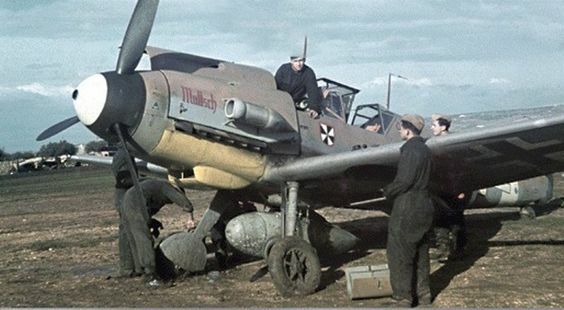 Bf 109 G 2 9./JG 54 (Y3+~) Wilhelm Schilling, Krasnogvardeisk 1943. This image has been widely reproduced (and probably 'improved') in a number of publications from Ritger to Prien's JfV. 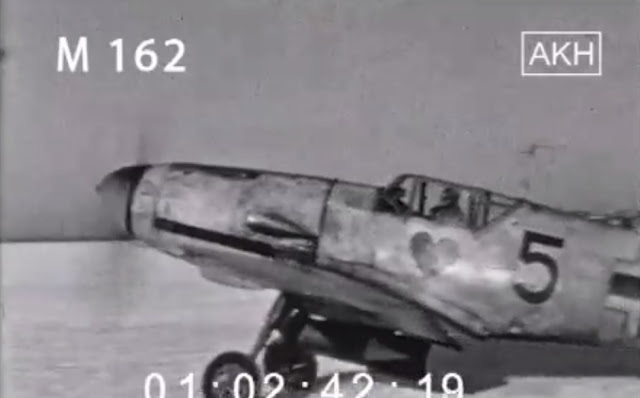 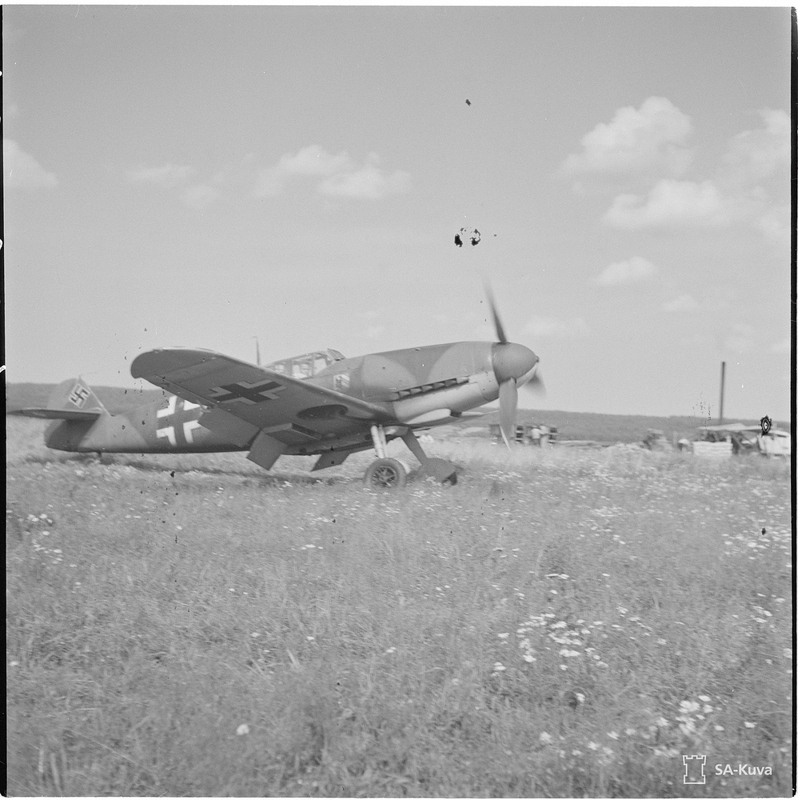 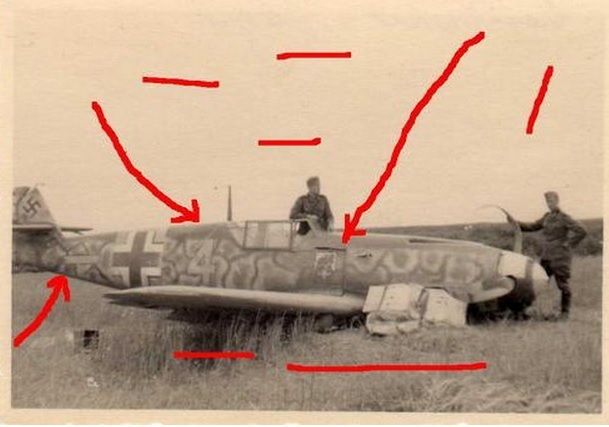 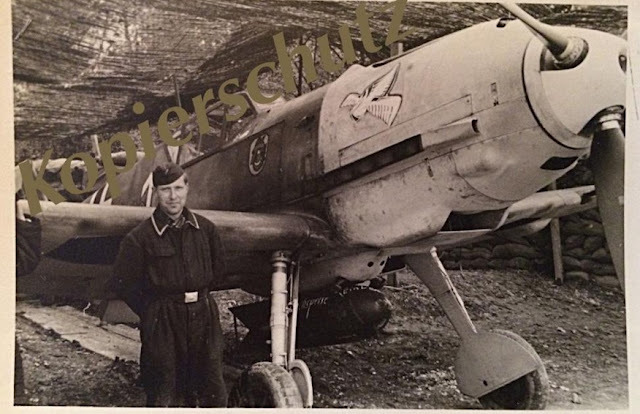 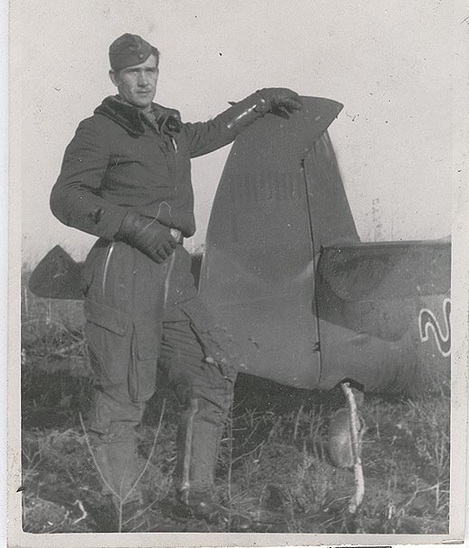 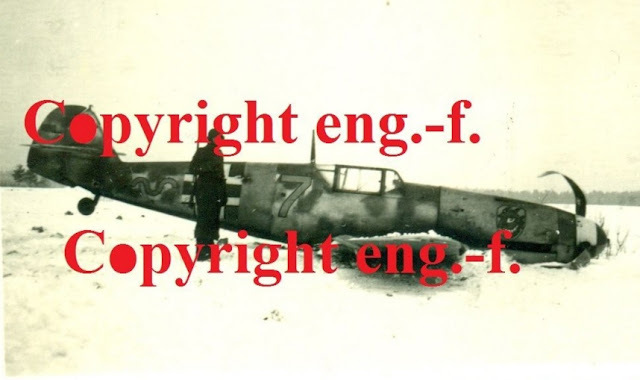 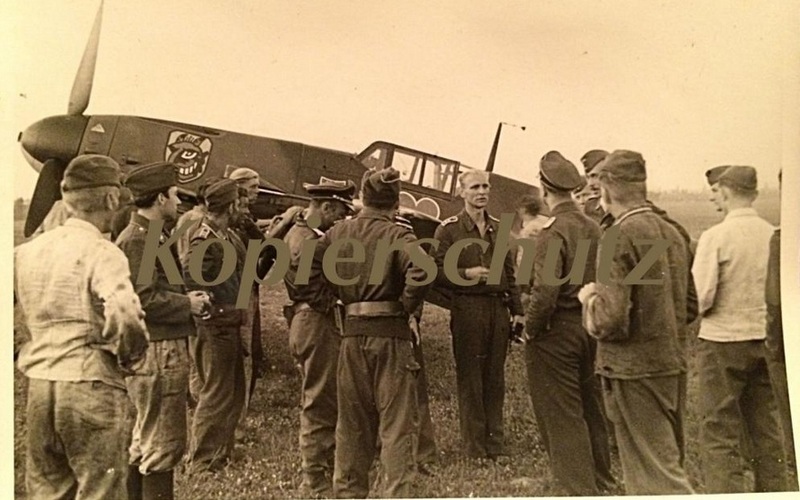 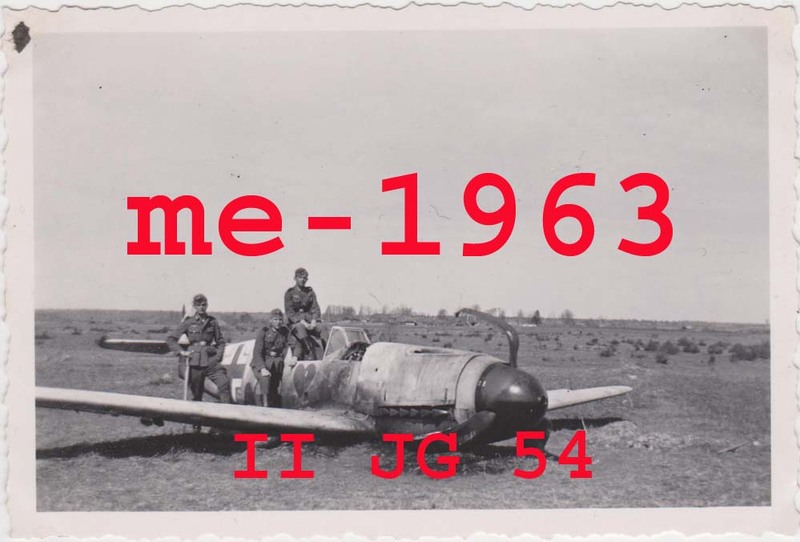 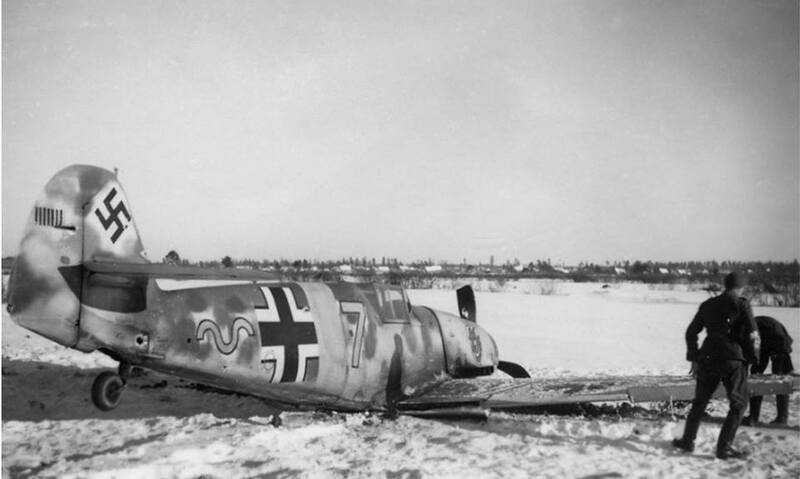 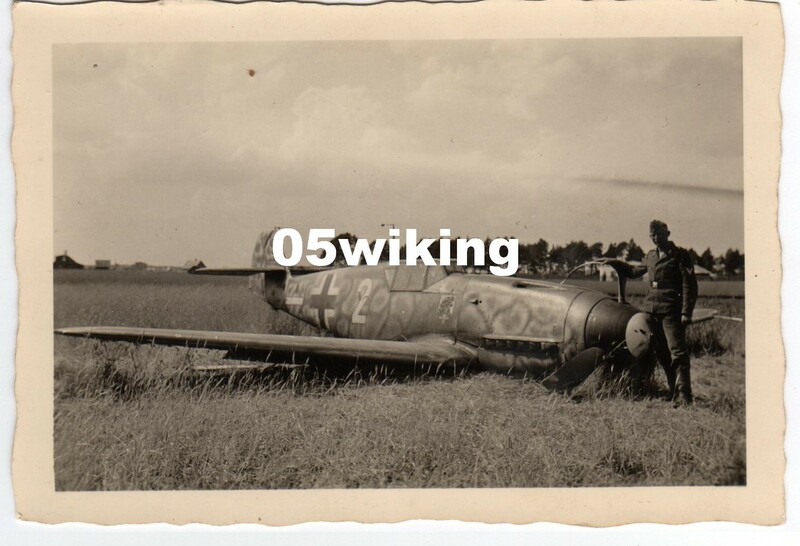 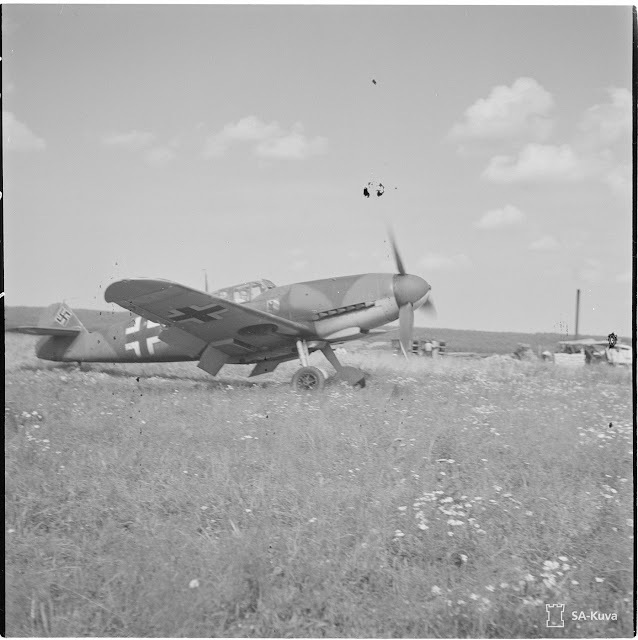 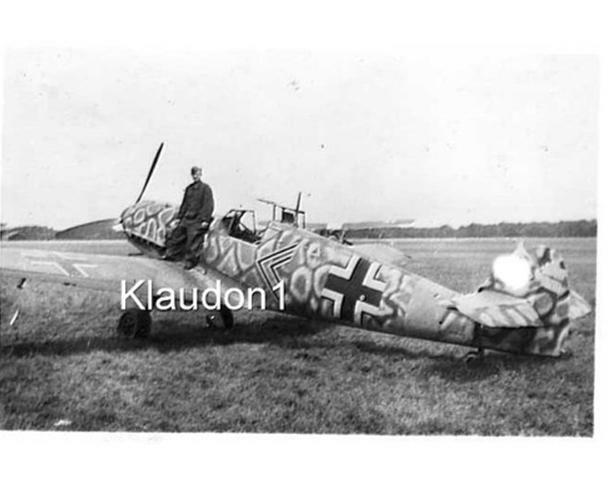 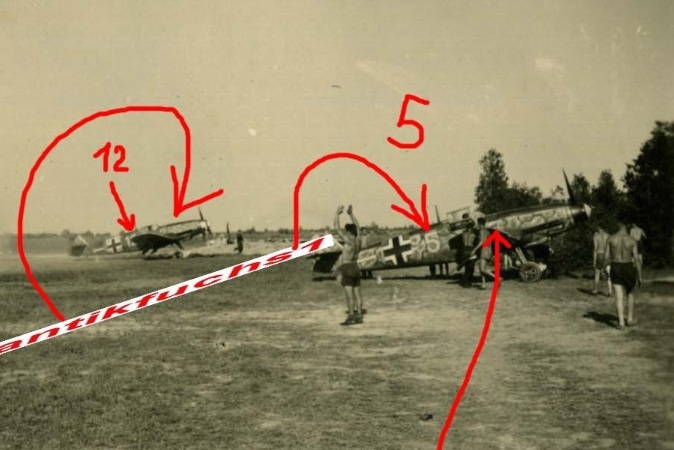 Another view below the colour image of Bf109 G-2 "Yellow 3" of 9./JG 54 flown by then Fw.Wilhelm Schilling (that is, if the seller's caption is correct), and the photo might have been taken sometime before 16 September 1942. 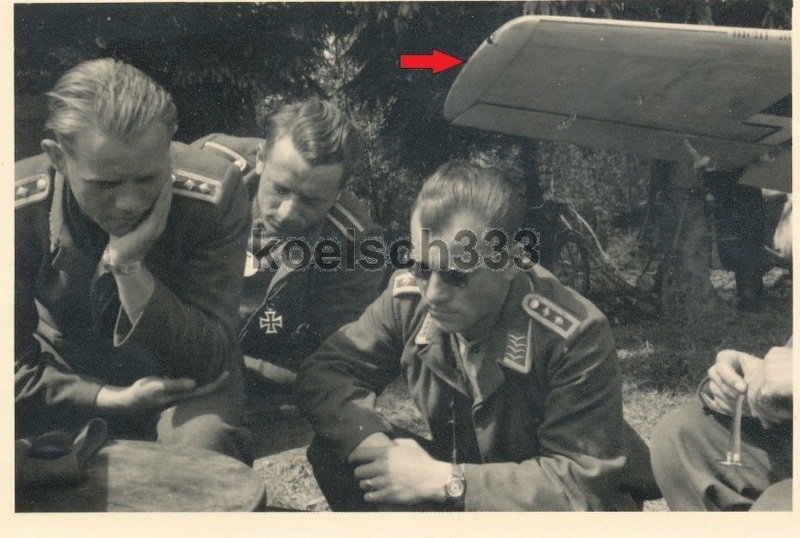 On the aforementioned date he was WIA in the vicinity of Dubrowka. 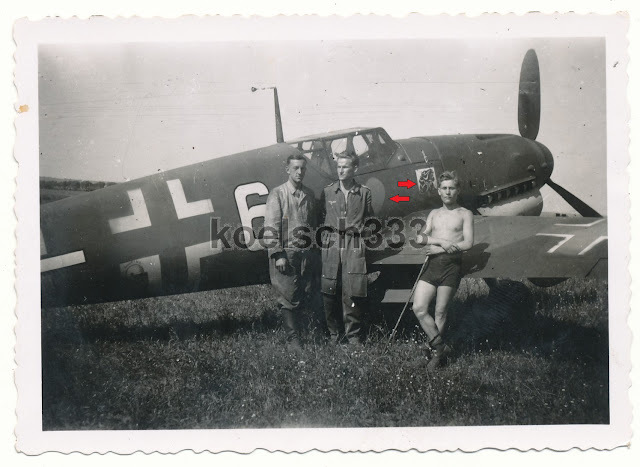 The various emblems are - JG 54 Geschwader emblem, III./JG 54 Gruppe emblem and the 9./JG 54 Staffel emblem, albeit slightly oversized, as sported in summer-autumn 1942 period. 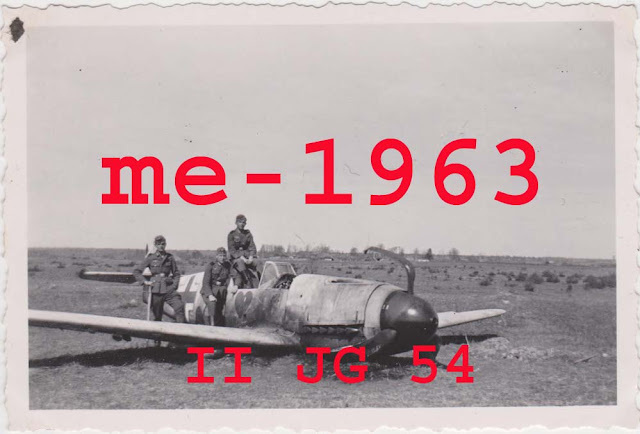 F-4Z of 7./JG 54 'Weisse 6'. 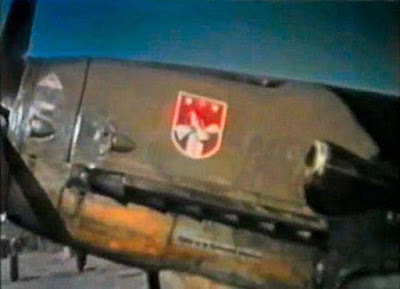 DR+YJ. 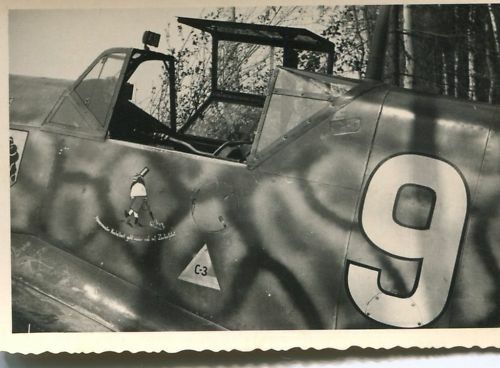 WkNr.7516. 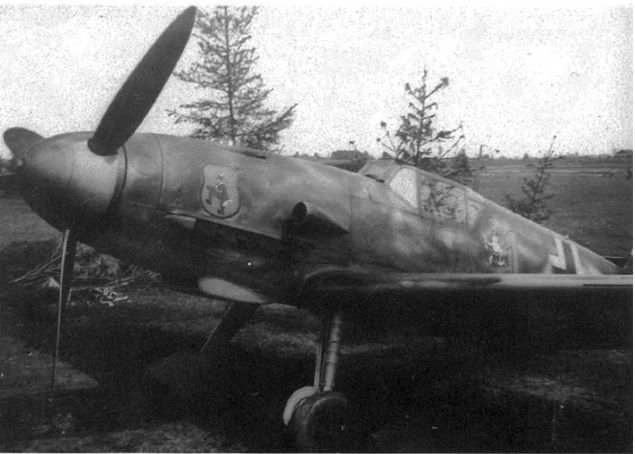 Tschudowo-Nowgorod, 30 May 1942. 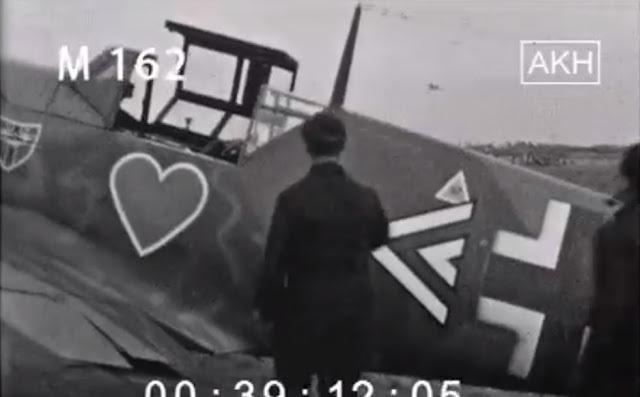 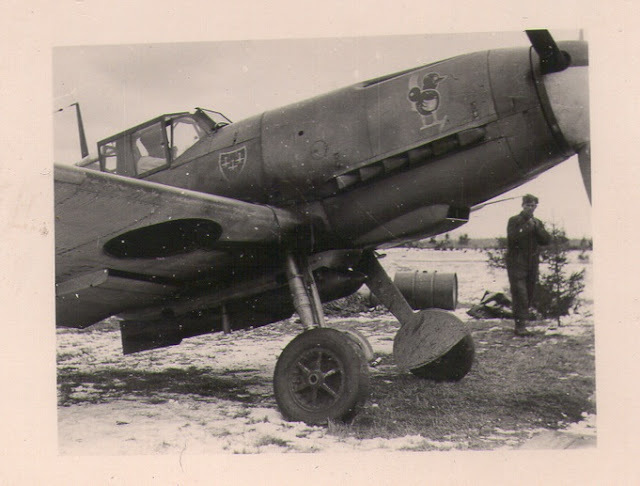 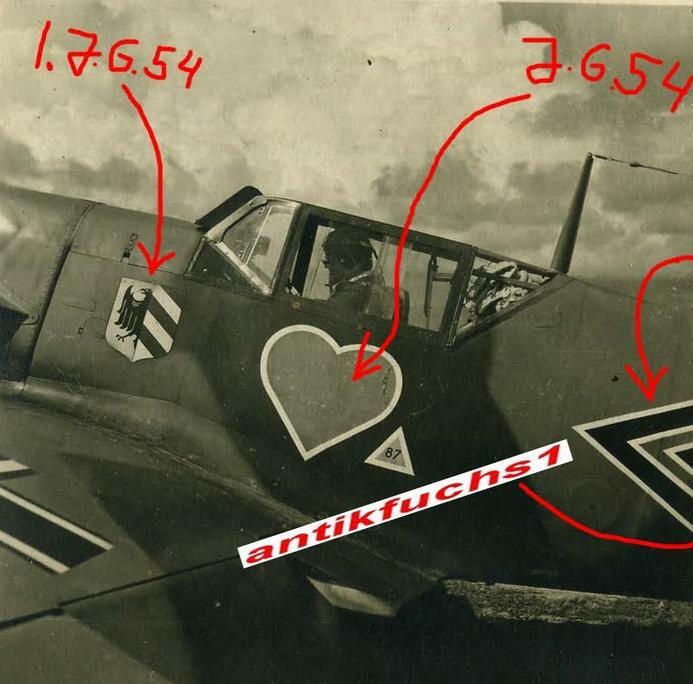 Below; neat close-up of the 'huntsman' emblem of 3./ JG 54 as seen on 'Yellow 7' sometime during 1940.